to celebrate Valentine's Day or anytime with a snazzy pencil! double knot. Then, glue two felt hearts (or another shape) together on the other end. You could also stick two craft foam stickers together for the same effect. 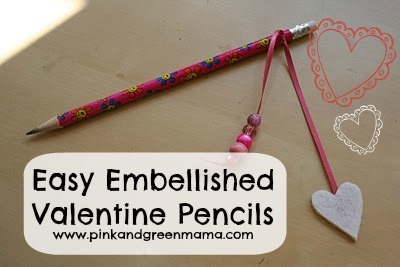 or for your child to make as inexpensive Valentine Gifts for their classmates!